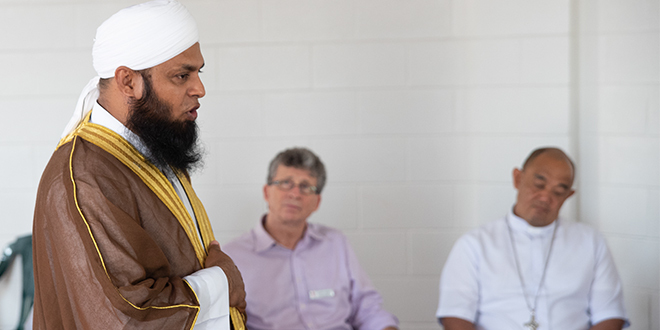 THE heartbreak of the Christchurch massacre, felt across the world, was made real for the Townsville community when a gathering of bishops took time to meet with a local Imam. The executive meeting of the Federation of Catholic Bishops Conferences of Oceania was held in Townsville between March 19 and 20. 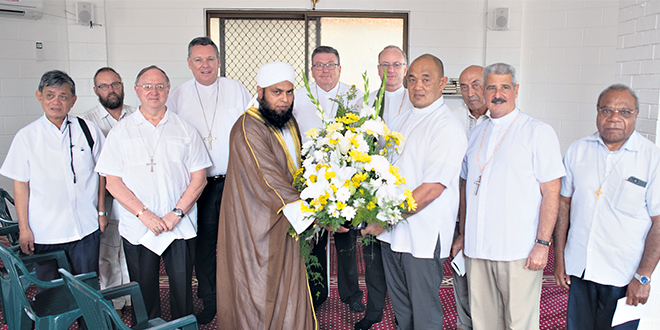 While there, the bishops made time to see the local Imam and pay their respects, offering a statement of support for the Muslim communities of Townsville and Christchurch. FCBCO president Suva Archbishop Peter Loy Chong delivered the message. “The recent massacre at the mosques in Christchurch has brought deep grief to all of us,” Archbishop Chong said. “As church leaders of Oceania, we condemn this evil attack and are shocked and horrified that such an atrocity should take place against innocent people. The attack on mosques in Christchurch was particularly close to the Bishops of Oceania, what with one of the executive members being Christchurch Bishop Paul Martin. He was unable to attend the meeting in Townsville due to the events. In mourning: Imam Abdul Salik told the bishops he had no words to describe what had happened in Christchurch. During the visit Imam Abdul Salik spoke passionately of the communion that all religions have. “I feel honoured that you are here, we feel that we are not alone after this event in Christchurch,” he said. Imam Salik responded by saying that he was touched by this final comment. Townsville Bishop Tim Harris said that the visit was a powerful message of hope and support. “When we saw the images from Christchurch, we were all shaken and heartbroken by the loss of lives in Christchurch,” Bishop Harris said. After the Bishops had an opportunity to pray with the Imam, he invited them to stay and enjoy a cup of tea with him in the mosque.